Gransden Packaging Line Products, exclusive UK and Ireland suppliers of LOCK N’ POP pallet stablisation systems has launched a new service offering. 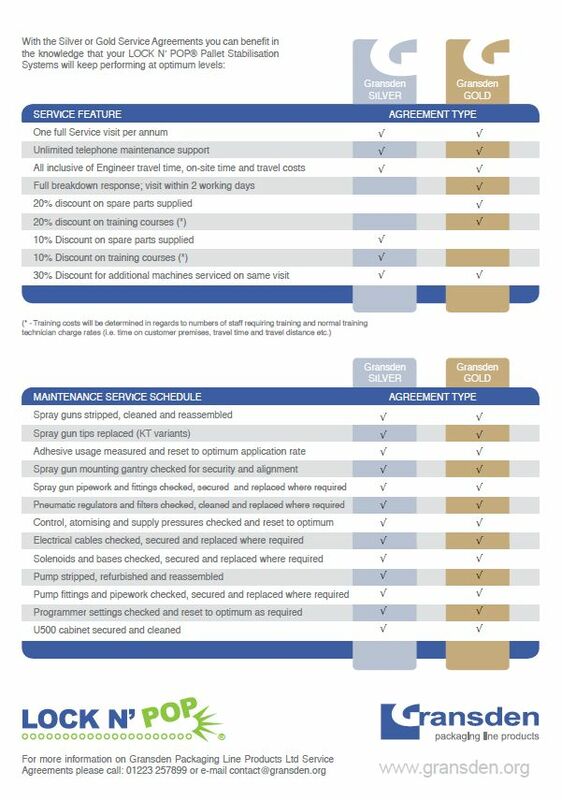 Two levels of service are offered, siolver and gold, providing different discounts on spares and different response times. Duncan Potter, Gransden MD says: ‘LOCK N’ POP is generally reliable but regular servicing ensures that the factory environment does not result in nozzle blockages or similar. Our customers rely on LOCK N’ POP systems to protect their products and we need to ensure that they can always do their jobs well. A little preventative maintenance is always of value’. 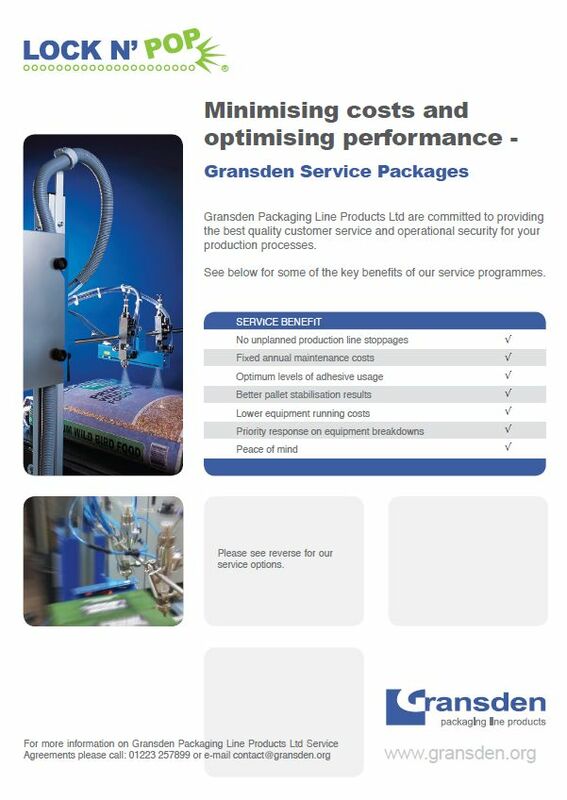 Click on the icon below to download a copy of Gransden’s service flier.